For those who are in need of a root canal therapy but are hesitant because the treatment seems unfamiliar, you are in luck! Feel at ease as Shawn A. Walls, D.D.S. list down the things that everyone needs to know about the procedure. The procedure is commonly known as root canal, but its medical term is endodontic treatment. Endodontic is from the Greek words “Endo” and “odonto” which if translated means “inside the tooth.” It is performed to save a tooth structure from further damage once the pulp is infected. Pulp or endodontium is located on the center portion of a tooth that is comprised of living tissues, nerves, and blood vessels. Its function is to act as a sensor that detects temperatures or trauma that can be felt as pain. During the procedure, the pulp is removed to avoid it from breaking down and allows bacteria to multiply inside the chamber. If left unattended, it can result in infection or an abscessed tooth which can spread and affect the surrounding oral structures. The discomfort felt during the process is comparable only to dental fillings. Many people avoid undergoing root canal treatment because they often perceive it as being very painful. Nevertheless, it is the spreading infection that causes the pain and not the procedure itself. A local anesthetic is used to ensure that patients would feel entirely comfortable during the entire treatment. If the tooth stopped hurting, should the patient still undergo the procedure? If the pain suddenly disappears, this does not indicate that the infection is gone. Over the counter medications only takes care of symptoms temporarily. To fully get rid of the issue, it is best to opt for a root canal treatment. 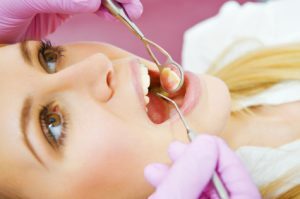 Is tooth extraction a better option? No. The best option to ensure better dental wellness is to preserve the natural tooth structures as much as possible. Although restorative procedures can replace missing teeth after extraction, it cannot fully function as the natural teeth. Discomfort is normal and can be handled by over the counter pain or anti-inflammatory medications. After a few days, a permanent filling would be placed. The dental professional often recommends putting a dental crown depending on the patient’s tooth to provide maximum protection. At Shawn A. Walls, D.D.S., we believe that preserving the teeth is a must to guarantee overall dental wellness. To save a severely damaged tooth from extraction, we offer Root Canal Treatment which ensures that any decayed or infected tissues are removed, thus preventing it from harming other oral structures. Book your Root Canal Treatment in Johns Creek with us at Shawn A. Walls, D.D.S.! Our dental office is located at 10700 Medlock Bridge Rd. Suite 202, Johns Creek, GA 30097.